Grilled octopus at the new Kaiyo in San Francisco. 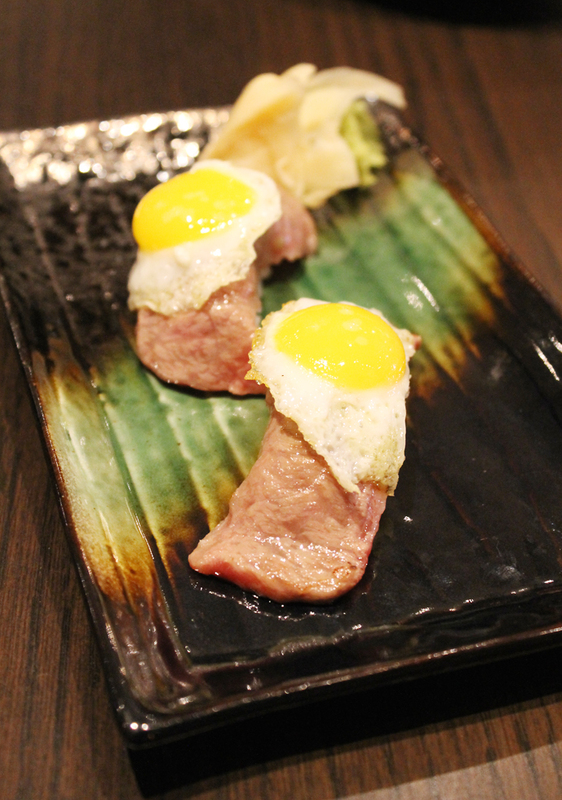 Just what is Nikkei cuisine? It’s the cross-cultural deliciousness that results when Japanese immigrants meld their traditional cooking with that of their new adopted land. 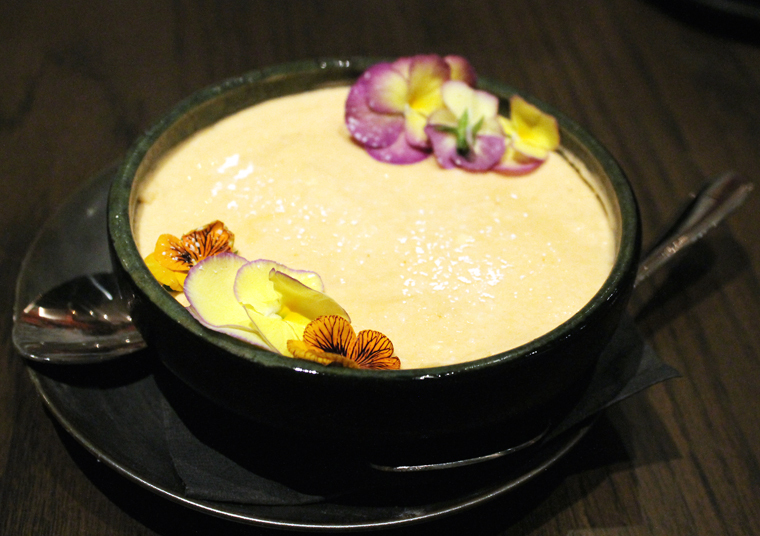 Kaiyo, which opened in September in San Francisco’s Cow Hollow neighborhood, takes influence from the journey of Japanese immigrants in Peru. That’s why ceviche and tiradito are as prominent on the menu as nigiri and spicy miso lobster soup. Chef Michelle Matthews, formerly of Whitechapel in San Francisco, the restaurant’s sister establishment, heads the kitchen here. A couple of weeks ago, I was invited in as a guest of the restaurant. 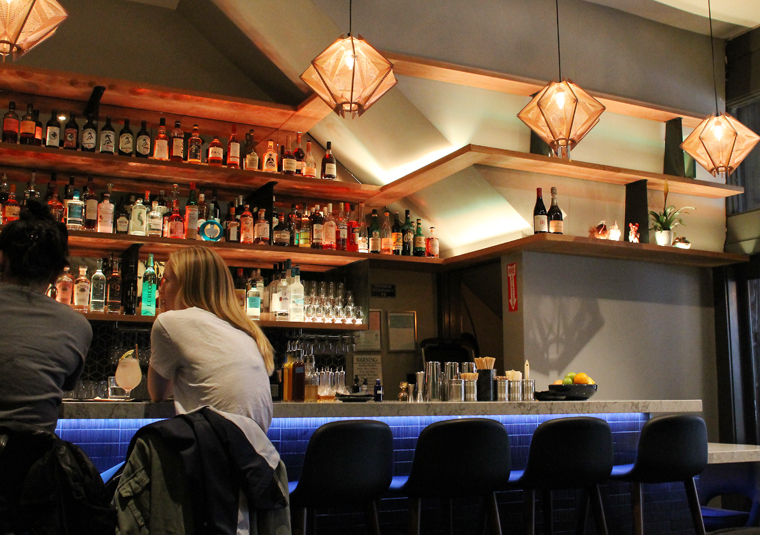 The narrow, hip restaurant is dominated by a long, marble bar backlighted in blue. 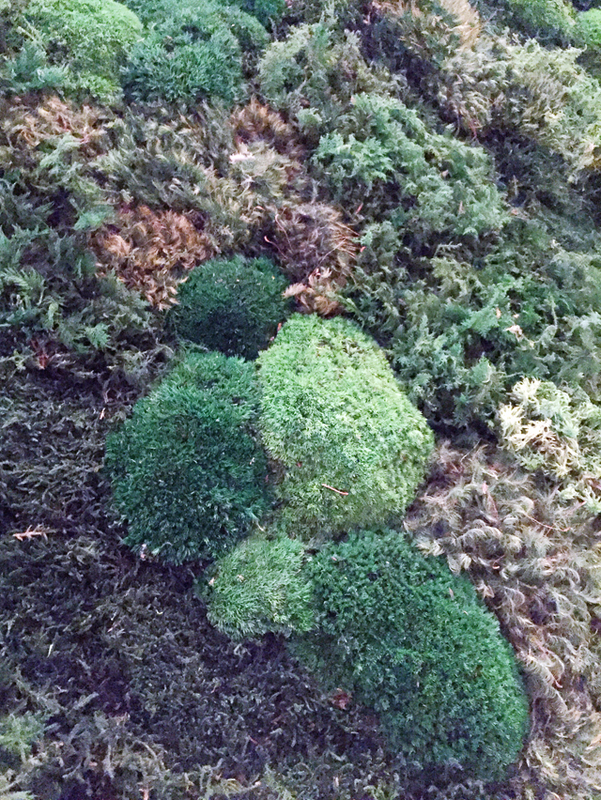 On the other wall of the dining room is a dramatic 35-foot-long living moss wall by Planted Design that you can’t help but want to put a finger on to touch it. The front doors can be opened up completely, blurring the indoors with the outdoors. The restaurant has been open less than a month, but already was packed on the Saturday night I was there. 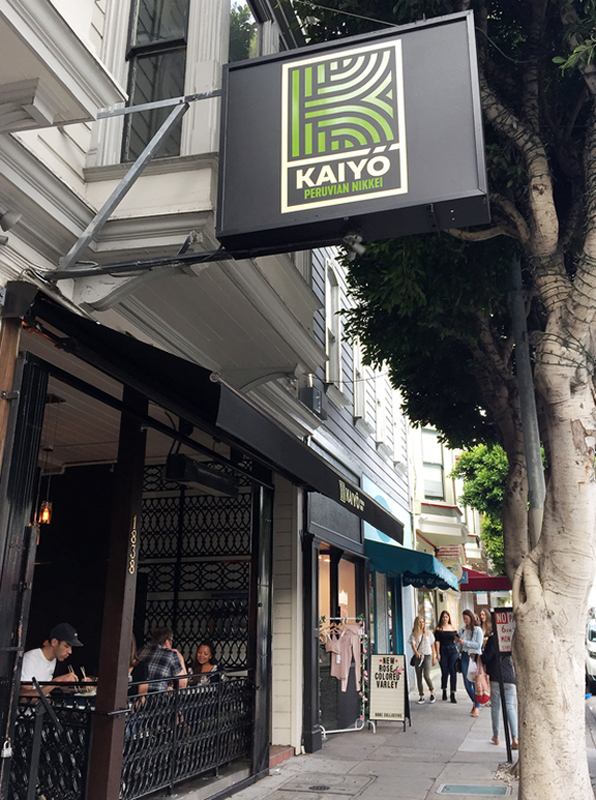 With all restaurants hard pressed to hire enough employees these days, Kaiyo is still finding its groove in the service department. A couple of times, servers came to our table with dishes we didn’t order. Half-way through our meal, there was a lapse when it seemed like nothing was coming out of the kitchen for at least 10 minutes. 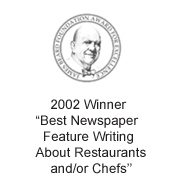 But I’m sure those are lapses the restaurant will be able to correct as time goes on. The cocktails have fun names such as “The Samurai Who Smells of Sunflowers.” I went with the “Kill Bill Vol. 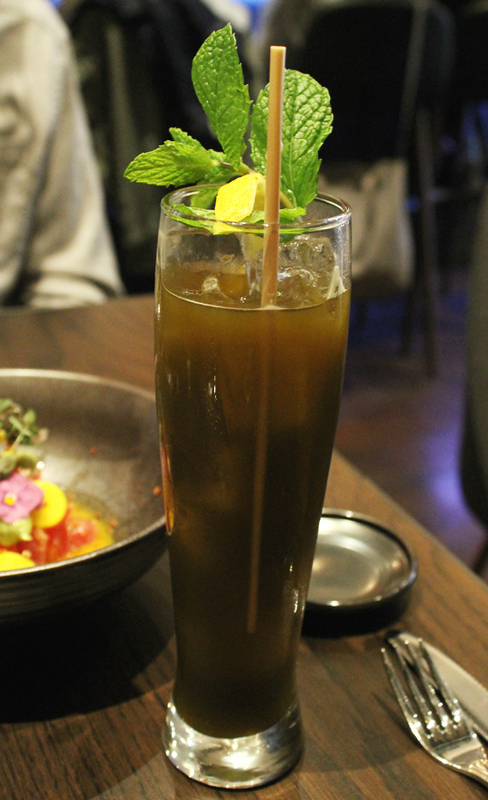 1,” a long, tall glass filled with a blend of Suntory toki, aperol, matcha, sarsparilla, and sparkling water. The matcha gave it a murky look rather than a vivid green. And with the sarsparilla, the cocktail did indeed taste a lot like root beer. 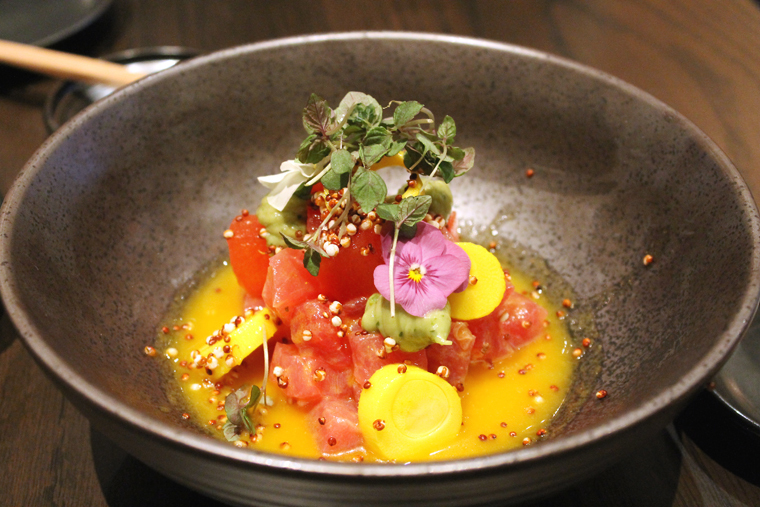 The Bigeye Tuna Ceviche ($18), like all the dishes, was plated beautifully, and even adorned with fresh little flowers. 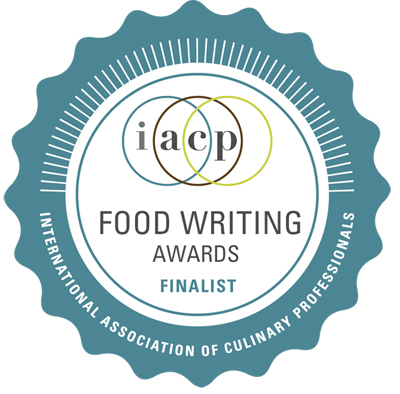 With watermelon cubes that mimicked the tuna, along with pickled spicy hearts of palm, the ceviche was bright, tangy, sweet and had a good dose of heat. 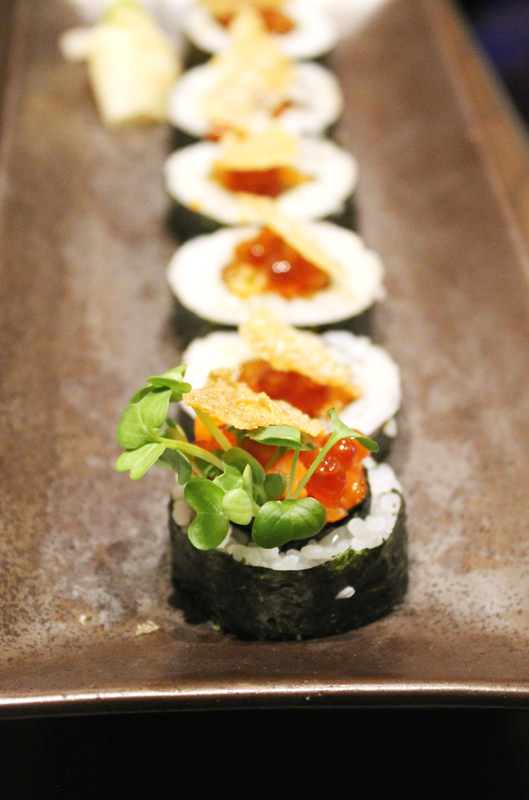 The Trout Roll ($12) featured not only trout tartare and trout caviar but also crisp trout skin, which added up to a lot of flavors building upon one another plus varying textures. The trout skin was an especially nice touch. Trout three ways in this roll. You can get A5 Wagyu as sushi ($11 per piece) or sashimi ($33 for three slices). But just note that the well-marbled beef is actually cooked. 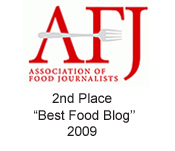 That was a surprise to me, as the times I’ve had it elsewhere, the thin slices of beef were blow-torched for a mere second, leaving them mostly raw. That’s the way I prefer it because you really experience just how buttery this beef is, as it practically melds into the rice and then melts in your mouth. Here, it is still plenty succulent, just a different experience. Wagyu nigiri with a quail egg on top. 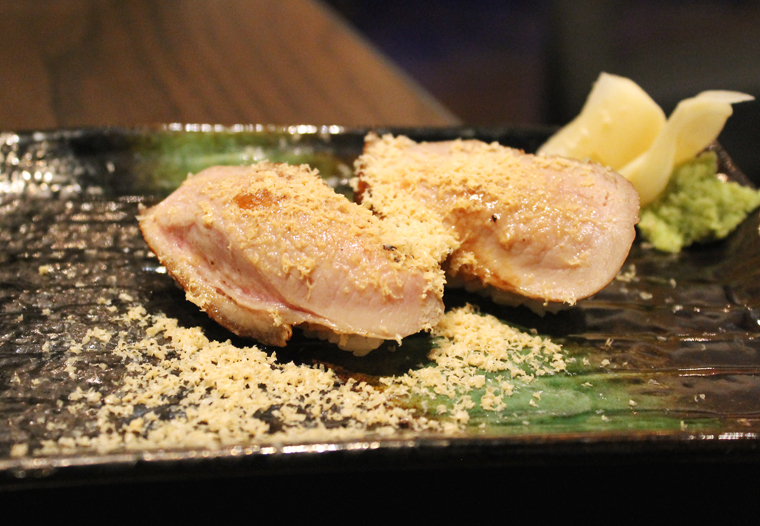 Duck breast nigiri with frozen, shaved foie torchon. The Smoked Duck Breast nigiri ($7 per piece) is a little chewy. The frozen foie gras torchon that’s shaved over it like snow is what makes it, adding that unmistakable rich, minerally flavor. 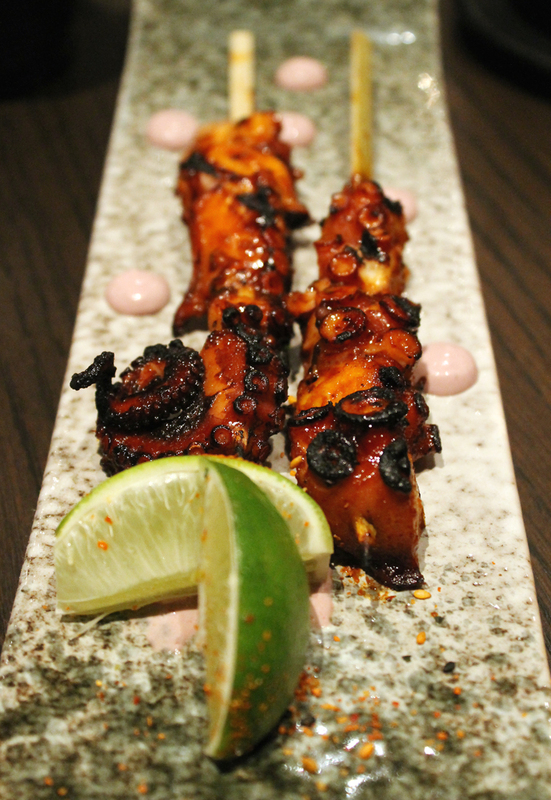 The Pulpo A La Parrilla ($18) brought two skewers of tender, meaty grilled octopus with an olive oil emulsion to dip into. 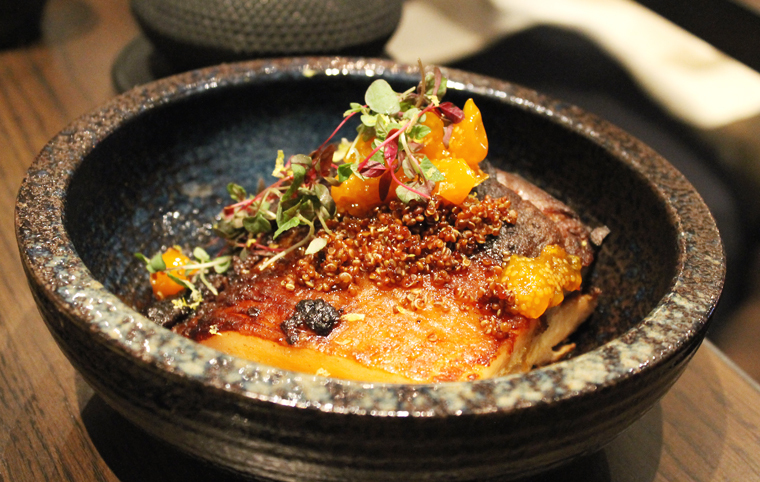 The Amarillo Miso Halibut ($18) is marinated in shiro miso, then glazed with an aji amarillo butter, giving it a spicy, peppery kick of umami. 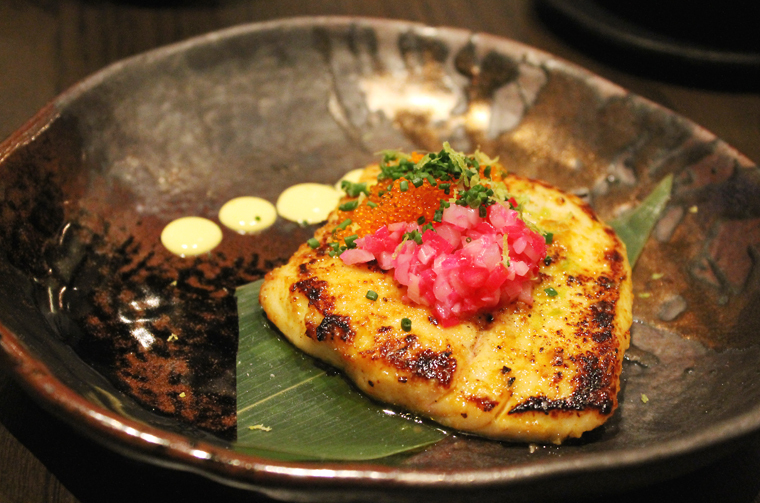 Halibut with Japanese and Peruvian flavors. 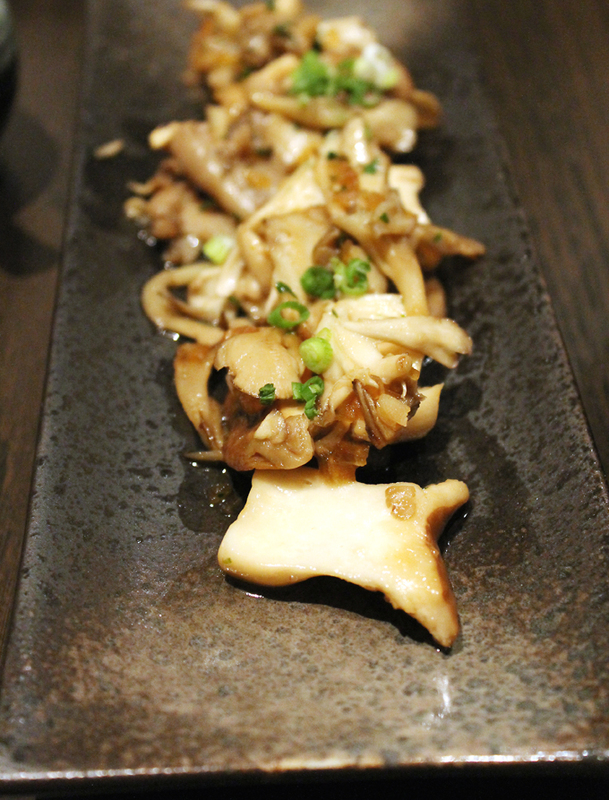 The Japanese Mushroom Trio ($8) featured maitakes, matsutakes and enoki brushed with a sweet soy dressing. My favorite savory item had to be the Crispy Duroc Pork Belly ($28). Rimmed with a generous belt of fat, it was so tender you could practically cut it with a spoon. It was marinated in chicha de jora corn beer, which left it ever so sweet. Kumquats dotted the meat, adding a nice jammy, tangy flavor. There are only two desserts offered, and I went with the more unusual one. Torta De Maduro ($8) is a caramelized plantain and mozzarella — yes, mozzarella — cheesecake that arrives in a wide bowl, not as a slice. Its texture is lighter and fluffier than New York-style. And the flavor is totally unexpected — almost like butterscotch. There’s a granola-like cookie crust on the very bottom. It’s plenty big enough to share, and it’s just plain wonderful. A surprising cheesecake to adore. Growing up in San Francisco, Cow Hollow used to be one of those happening neighborhoods. It’s a little sad to see so many empty storefronts there now. But it’s encouraging that places like Kaiyo are moving in. I haven’t been to Cow Hollow in decades! Of course I don’t often get to San Francisco these days, alas. Anyway, this sounds like a happening place! So appropriate. 🙂 Thanks for a great review.